← Celebrate Our First Milestone!! As President Obama correctly commented, economic inequality is “the defining challenge of our time.” Today there is growing concern over the vast disparities of wealth in the country. 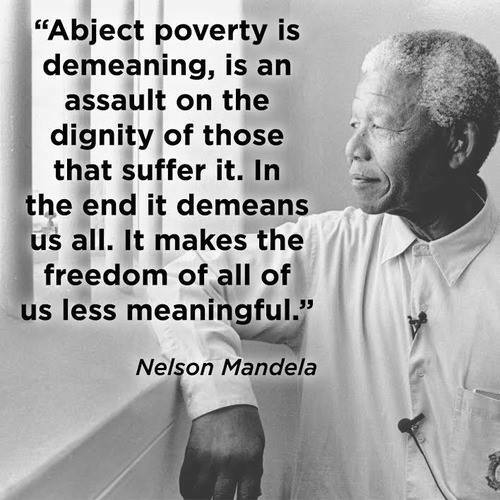 More and more men, women, and children are living in poverty or close to the poverty line. They worry about basic needs such as a place to live and food to eat. At the same time, a small percentage of people are living with extraordinary wealth. That inequality did not arise by chance. It was constructed over the years by private greed, yes, but also by public policy. And change in policy can reverse the trend. There is much that can be done, even at the state level, to make things better. Progressive Newton mobilized this fall to help the Raise Up Massachusetts coalition put raising the minimum wage and guaranteeing earned sick time on the ballot. We are absolutely committed to continuing our work on economic justice, going forward. This entry was posted in Statements and tagged earned sick time, economic justice, inequality, minimum wage, Nelson Mandela, President Obama, Raise Up Massachusetts. Bookmark the permalink.